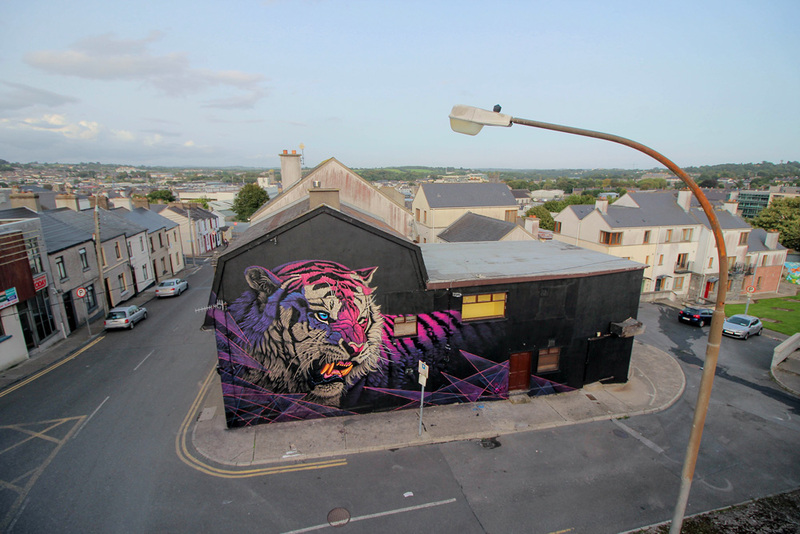 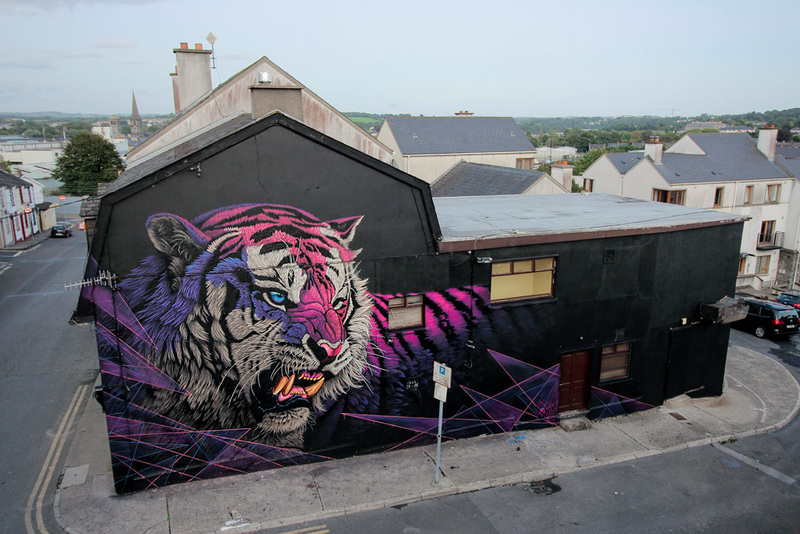 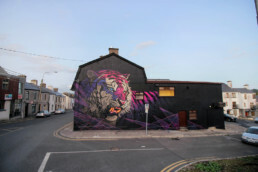 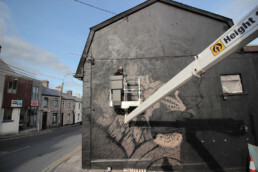 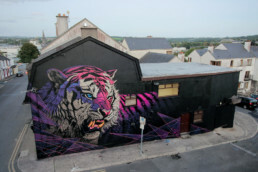 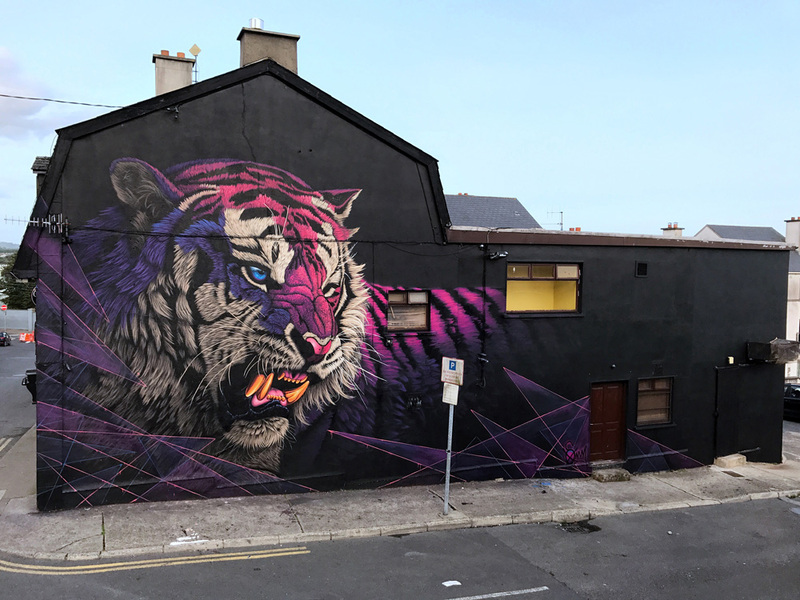 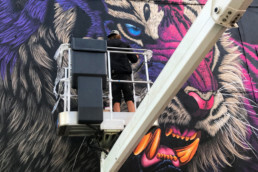 Sonny’s roaring tiger is named ‘Electric Fury’ and was painted as part of the 3rd edition of Waterford Walls, a street art festival in Waterford, Ireland. 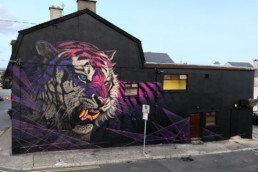 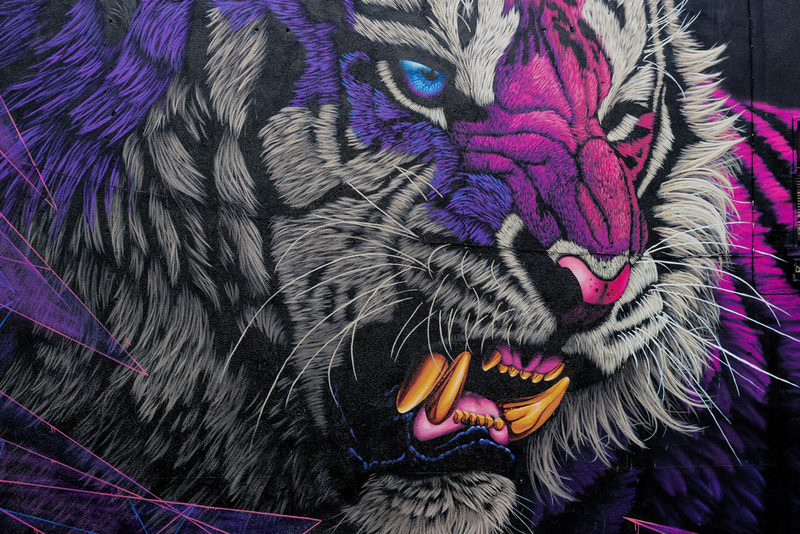 The second tiger of the tour, this one brings some colour into the community with bright splashes of pinks and purples. 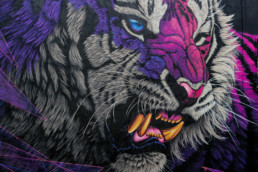 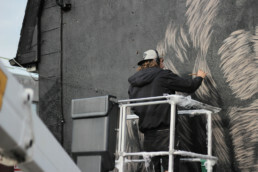 Sonny will be putting a portion of his artwork sales towards supporting Project C.A.T., a collaboration between Discovery Communications and World Wildlife Fund that aims to ensure a healthy habitat for future generations of tigers by helping conserve nearly two million acres of protected land in India and Bhutan. 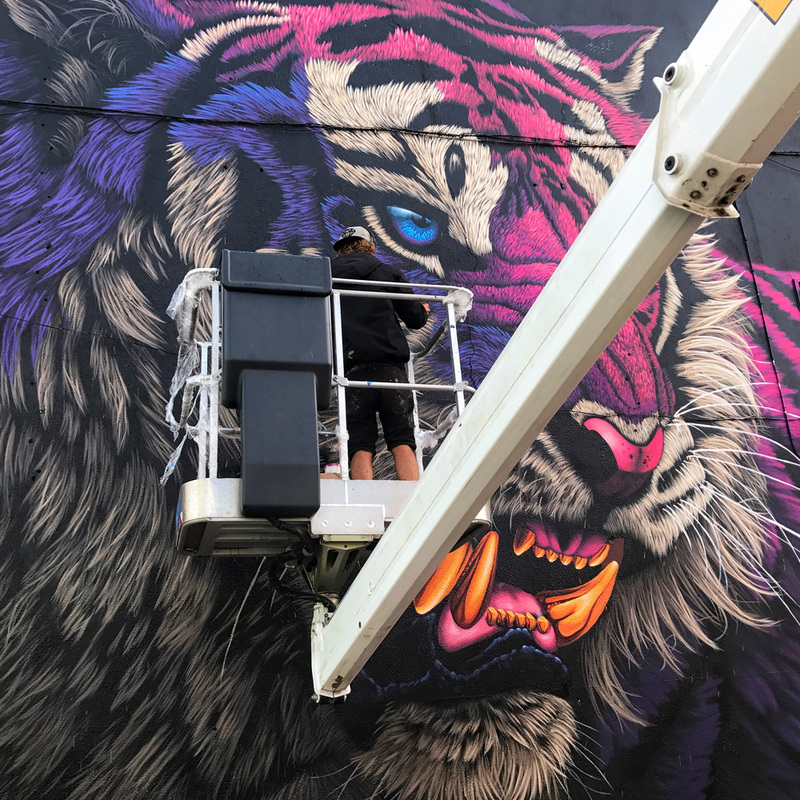 With multiple threats, such as poaching, habitat loss, conflict with humans and overhunting of their prey species, there are less than 4000 tigers left in the wild.